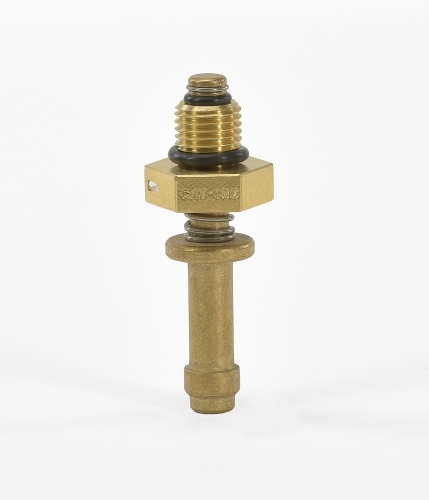 After 55 years of design and testing, SAF-AIR Products, Inc. is able to offer a wide range of unique fuel drain valves for the general aviation industry. One of the unique features of our valves is that we use standard o-rings made of Viton® for sealing. This material can withstand a wide range of temperatures and is very durable. The most common reason that fuel drain valves drip is due to dirt buildup in the fuel. The dirt collects in the lowest part of the fuel tank where the fuel valve is located. This dirt can cut the o-ring, or keep the valve from fully sealing. In SAF-AIR valves, the o-ring can be replaced when it starts to fail so you can continue to use the valve, rather than throwing it away. 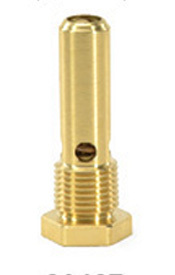 SAF-AIR Products, Inc. push-type fuel drain valves are close tolerance valves of simple design. 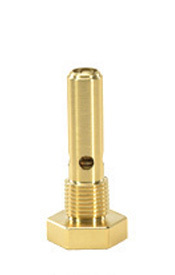 These valves provide the most trouble-free operation of any other line of valves in the industry. 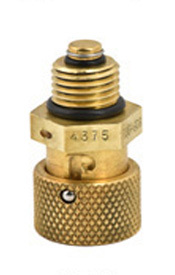 SAF-AIR valves are manufactured with an o-ring placed on the stem to seal against a flat seat on the body. This design eliminates an area where dirt can gather, thus putting an end to the main cause of fuel drain valve drip. Models CAV-110 & CAV-110H-4 are popular choices to install on gascolators. FAA & PMA APPROVED. MODEL CAV-110 1/8" NPT for Cessna 310 tip tanks; Mooney Mark 20 and 20A; all Ercoupe models; Bellanca, Taylorcraft model B; Stinson 108, 108-1, 108-2, 108-3; Voyager model 10 and 10A; Navion; Waco VK series and UPF; and Sea Bee. Fits all standard gascolators. MODEL CAV-160 1/4" NPT for Piper models J-3, J-4, PA-11, -12, -14, -25, -16, -17, -18, -20, -22, -23, -15 and -28 Tri-Pacer; Apache; Champion; Aeronca; Cessna T-50 and earlier 120 and 140 models; and Beechcraft AT-11 and C-18S. MODEL CAV-170 7/16-20 NF-3 for all Cessna late 140A models, 150, 170, 170A, 170B, 172 and 175. MODEL CAV-180 3/8-24 NF-3 for Cessna 180, 182, 185, 190, 195, 205, 210, 310, 310A, 310B, 310C and 336. 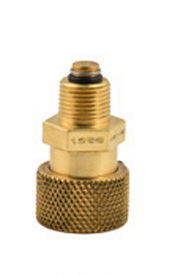 CAV-110H-4, CAV-160H-4, CAV-170H-4, CAV-180H-4 - All four models come witd 1/4" hose end. SAF-AIR Products, Inc. designed its line of flush-mounted fuel drain valves to be an exact replacement for the Auto Valve F391 line of flush fuel drain valves. Unlike the Auto Valve, SAF-AIR valves can be rebuilt. 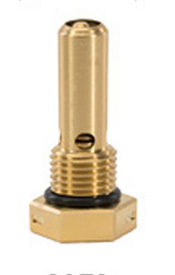 These valves offer a dependable, low-cost solution when a flush mount is needed. These valves are now assembled with an added safety feature- we are now crimping the top of the valves after they are assembled. FAA & TSO-C76 APPROVED. SAF-AIR Products, Inc. has taken its very dependable fuel drain valve and added a new feature – it locks in the open position! This valve makes the operation of the pre-flight check for contamination and water in the fuel system very easy. This valve is so unique that SAF-AIR Products, Inc. received a United States patent on its design. Models 1250 & 1250H are popular choices to install on gascolators. FAA & TSO-C76 APPROVED. 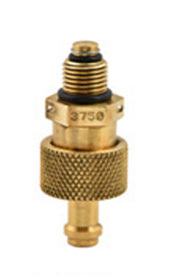 The F75 is used on wing tanks or any application where a 3/4”-16 flush-mounted fuel drain valve is needed. 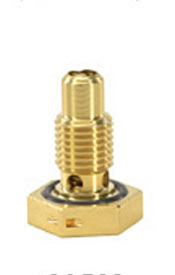 It is a direct replacement for Auto-Valve 79C1. 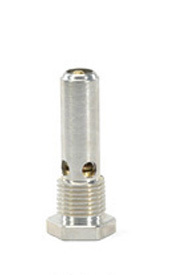 This aluminum valve is simple and clean to operate, using any standard sampling tube. Just push up on the center of the valve to sample fuel. Our new design allows all the fuel to enter the tube without leakage. 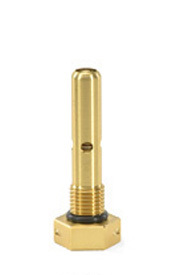 this valve is designed for use on Cessna 310 through 441 model airplanes. The C500 is used on the bladder style wing tanks with a 1/2” diameter nozzle. 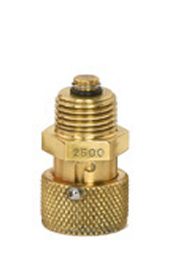 The P3750 has a 3/8” NPT thread and is designed for use on those applications. 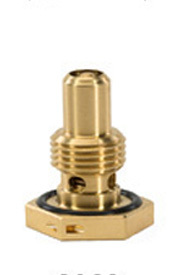 Both valves provide push-to-test or push-and-twist features for locking the valve open. Material is 360 brass. 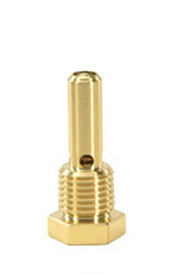 The SA5817-4C is used with a 3/4”-16 bulkhead fitting to mount the valve flush with the outside skin of the plane. 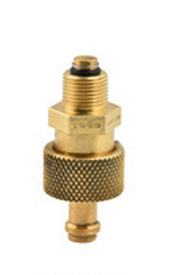 A hose is attached to the valve with a 7/16”-20 fitting at the low point of the fuel system. Material is anodized aluminum. The 4350-6L has a 7/16”-20 thread and a long stem that can be cut to length for your application. Material is anodized aluminum. 4375HS - Product information coming soon. The replacement Bladder fuel drains (B187) are now available for sale through Floats and Fuel Cells (901-842-7110). Please contact them to order. 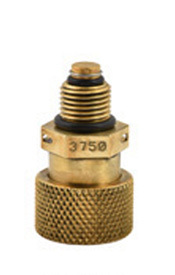 To order a replacement fuel valves , please visit our distributor list and place an order with your preferred provider. Or, for more information about our products, contact us today to speak to a representative.